F.O.A.M. member emeritus Russell Burbage sent me a package the other day, and included was this Aquaman, which is truly Itty Bitty! 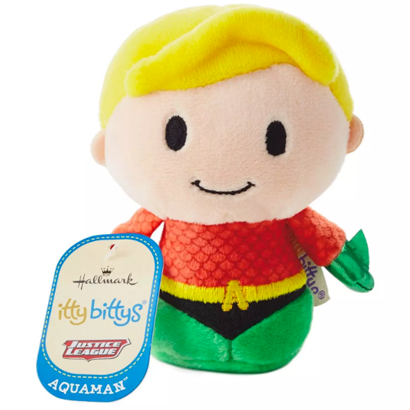 It's part of a whole line of DC and Marvel characters (multiple licenses across one product? Holy Mego!) in this form. As the kids say, totes adorbs! Thanks pal! These things are insanely cute. I have a Batman, and Dani has Scooby, Shaggy and Rey from Force Awakens.